Colorful and stylish is the inspiration above. 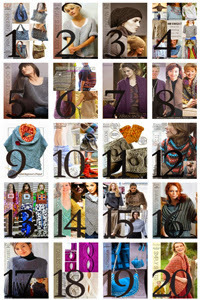 A basic garment with ripple yoke and hem edgings finish the garment with texture and color. Note the yoke has stripes of color and the hem in the same shade as the main body, bringing the attention to the face and not the hips. 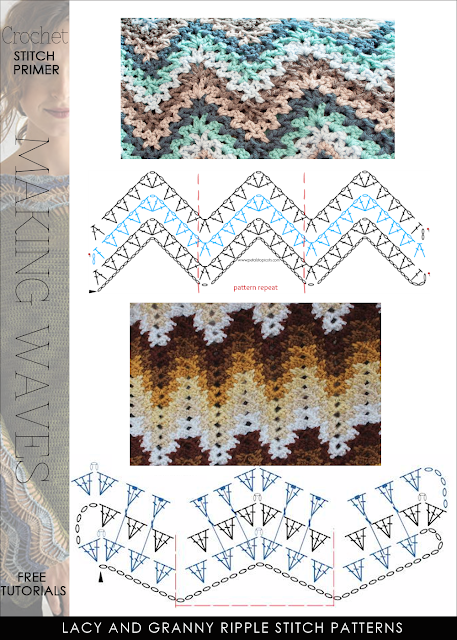 In my experience, whenever you thought of crochet ripple or chevron stitch patterns you envisioned afghan or baby blanket patterns. The wavy edge it created became an ideal finishing element for adding tassel fringes. Different stitch patterns such as lacy or granny stitch types were also great for using up different colors and textures of yarn. 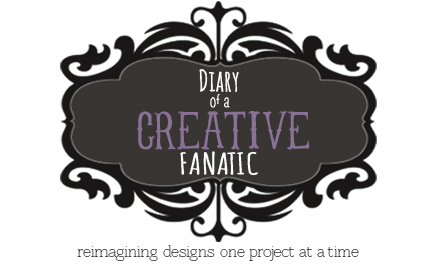 If it was a rectangle, it was easy but shaping into a garment was another story altogether. 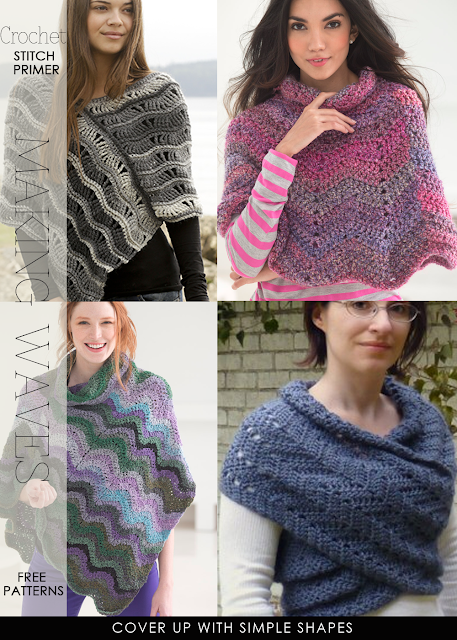 So many designs for wraps, ponchos and shrugs are made up of rectangles. It's a shame if you limit working this interesting pattern to blankets. 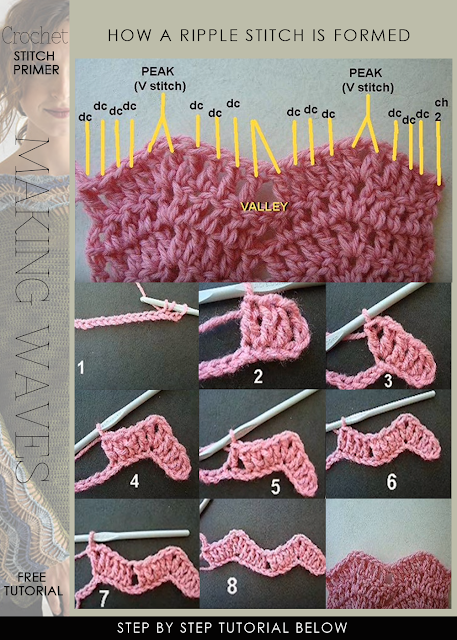 Straightening out the wavy edge is easy (read further for a helpful video which shows you how). Spring into the new season with a colorful poncho. There are several styles from which to choose along with smaller accessories, ideal for a beginner. 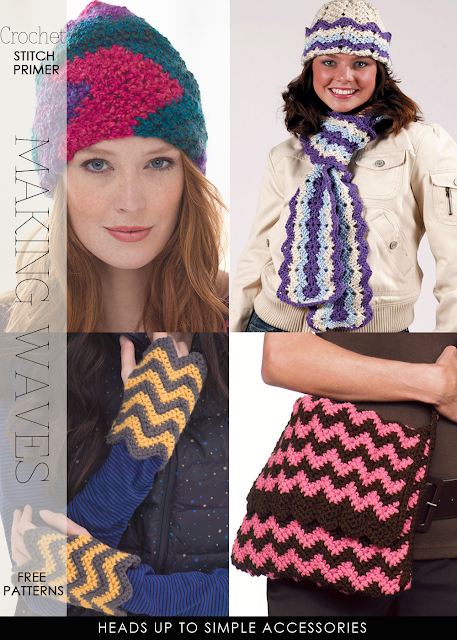 Read further for patterns, helpful tutorials, ideas and videos to get you started. 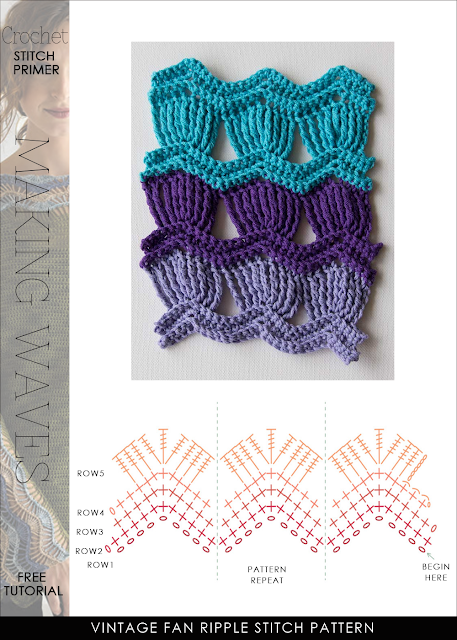 Click on image below for past post featuring knit ripple stitch patterns!